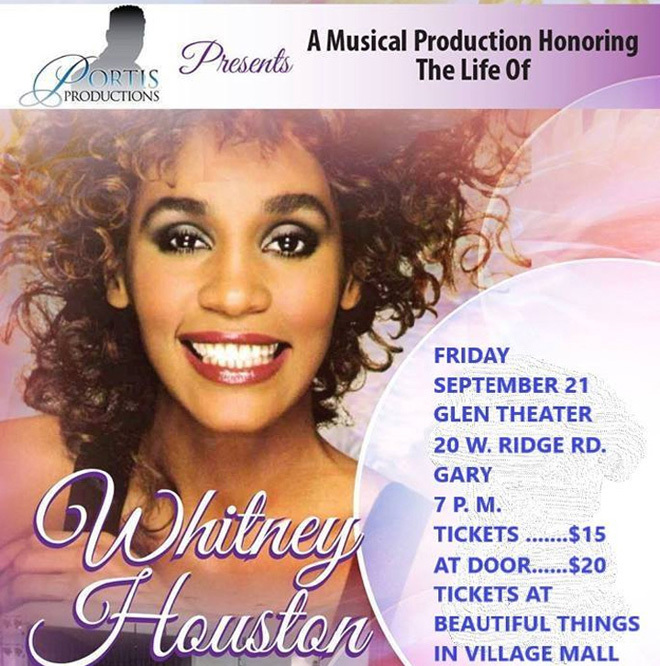 The African American Achievers Youth Corps, Inc. and Portis Productions will sponsor a Whitney Houston Tribute on Friday, September 21 at the Glen Theater, 20 West Ridge Road, in Gary, IN. 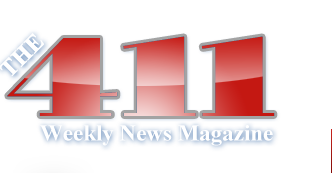 The event begins at 7 p.m. Tickets for the event are $15 and may be purchased at Beautiful Things in the Village Shopping Mall or from any of the participants. The cost at the door is $20. Among the many talented vocalist scheduled to sing Whitney's songs are Chuto Daniels, Erica Boards, Sharetta Williams, Danille Lee, Jannie Dates, Antonya Redmon, Melva Castleberry, Debra Bournes, Twanna Ray of Indianapolis, Altovise Ferguson, Vashanae Dixon, Da'Wanna Reese, Ariana Brooks, and Mateena Hough.